HBO is the world’s most successful pay-TV service, reaching more than 134 million subscribers in more than 60 countries, while its shows are distributed in more than 150 markets worldwide. 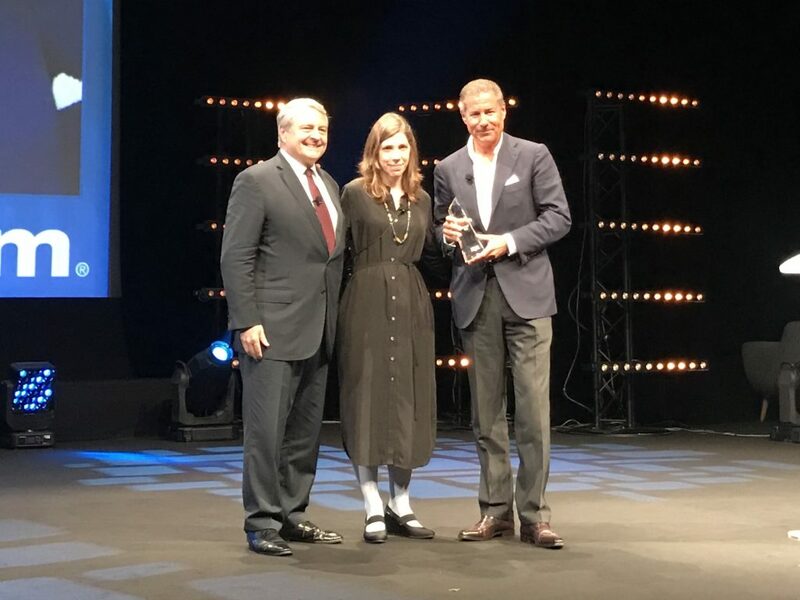 Chairman and CEO Richard Plepler is the recipient of this year’s Variety Vanguard award, and a Media Mastermind keynoter at MIPCOM. The moderator for his session was Cynthia Littleton, Managing Editor for Television at Variety. Five years in to being CEO of HBO, Plepler looked back at a dynamic period of change for the network. “We asked a couple of interesting questions at the end of 2012: our penetration in the basic cable universe was somewhere around 30%. I had a hunch that we were almost so in love with ourselves as a brand, we assumed that everybody out there knew what HBO was, and that they understood the range of our library,” he said. “We asked a couple of simple questions through some research: if in fact you understood what the value proposition inside this brand was, were you likely to go from an undecided voter, in political terminology, to a persuadable voter… if we could talk to you directly?” he said. 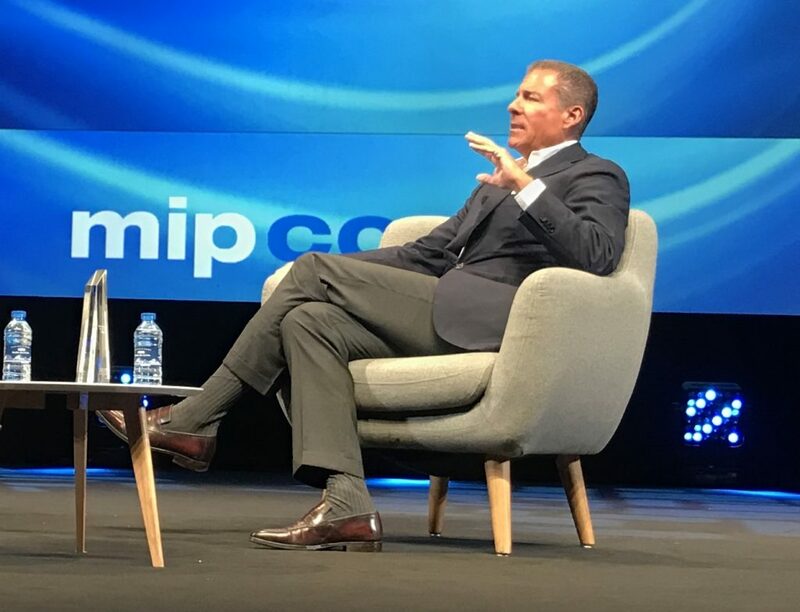 Plepler said that the research showed that there were 15m-20m homes that could be moved into HBO’s customer base if its value proposition was properly explained to them, but that it also showed the potential for launching a direct-to-consumer service. HBO Nordic played a role in that: a direct-to-consumer play launched in Scandinavia, partly as a learning exercise. “We learned a lot about marketing, we learned a lot about technology, and we learned a lot about direct-to-consumer,” said Plepler. 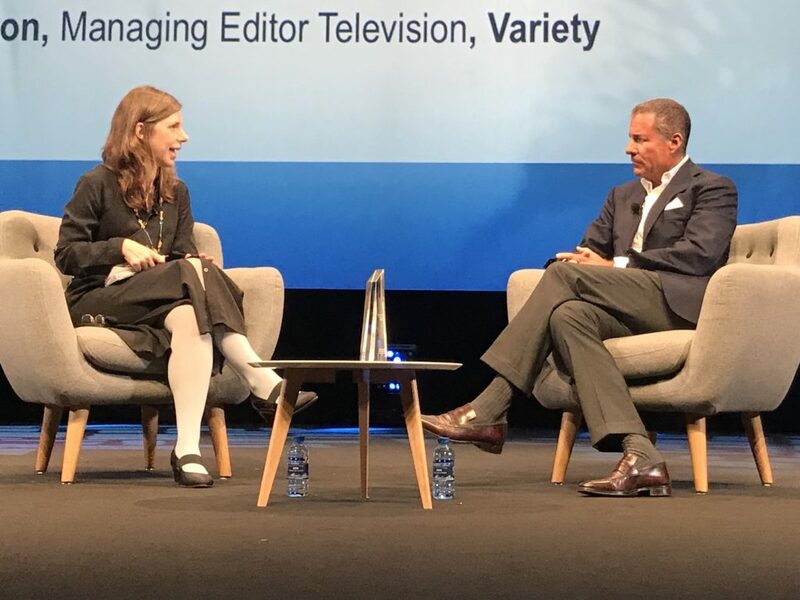 “Our growth in the Nordics has been fantastic… What’s exciting for us internationally, just as we’re running a multilateral strategy in the United States, we’re running a multilateral strategy around the globe.” So HBO prizes its partners abroad as well as the opportunities to go direct to viewers. What is Plepler expecting from the next five years? “I think the same core ideology that informed our thinking the last decade, which is to define success correctly and to define success for our brand correctly. Our brand is about curated quality, curated excellence, and we believe if we continue to do that, there will continue to be a huge market for that,” he said. “There’s a surfeit of programming out there unlike we’ve ever seen before. You have something like 500 hours of scripted programming… Nobody can keep up with all of this! There’s some very good stuff being done, there’s some mediocre stuff being done and there’s some not-so-good stuff being done. So what will matter even more as we go forward is brands,” said Plepler. Plepler added that HBO wants to be available “however, whenever and wherever the consumer wants to get the content” while suggesting that as the TV industry’s subscription bundles get ‘skinnier’, it’s good news for HBO, which can market itself as an option for viewers on top of these bundles. What does it mean to have competitors like Netflix and now Apple coming in to the market and seeking deals with talent, with big budgets to wield? “The price of content has been going up for a long time, and this is the business we’ve chosen. As the price of content has gone up, so has our revenue,” said Plepler. Finally, Plepler was asked about HBO’s plans for new shows set in the world of Game of Thrones after its last series airs in 2018. The network already has teams of writers and creatives working on ideas for new spin-offs, but the chairman and CEO played a straight bat to a question about whether he could share any details. “No! Other than to say to you that it’s a fantastic group of writers and talent, most of whom have lived inside the Thrones ecosystem, so are very, very familiar with its intricacies. None of those groups would do anything just to do it. And of course nor would we,” he said.